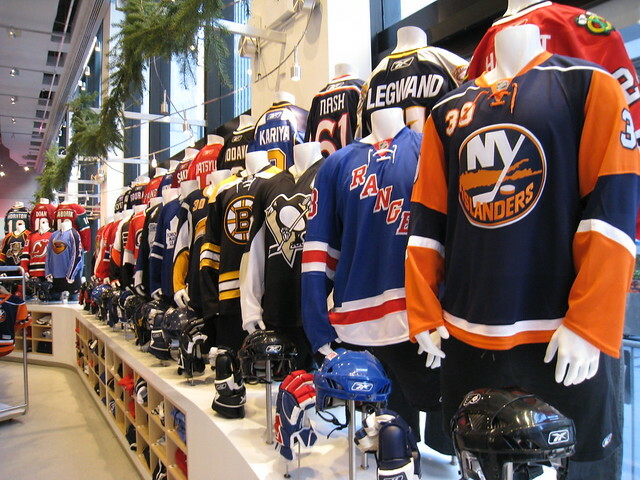 The National Hockey League (NHL) is a pro ice hockey league with 30 member clubs (i.e. 23 in the U.S. & 7 in Canada). The National Hockey League was organized on November 26, 1917 in Montreal, Quebec and is headquartered in New York City with the NHL considered to be the premier professional ice hockey league in the world. The Stanley Cup is the oldest professional sports trophy in North America and one of the hardest to earn in all of professional sports. It is awarded annually to the league playoff champion at the end of a 4 round best of 7 playoff (champion must win 16 games) at the end of the season. The Montreal Canadiens have the most championship titles with 25 Stanley Cups earned while the Chicago Blackhawks who have won most recently have 6 Stanley Cups and the St Louis Blues 0 Cups in their almost 50 year history. The league reduced to six teams during the 1942-1943 season known at the Original Six: the Boston Bruins, Chicago Black Hawks, Detroit Red Wings, Montreal Canadiens, New York Rangers and Toronto Maple Leafs which remained constant for 25 years. The league draws many highly skilled players from all over the world and currently has players from around 20 different countries. Canadians have historically constituted the majority of the players in the league, with an increasing percentage of American and European players in recent seasons. Wayne Gretzky, who is considered one of the best NHL players ever, went on to lead the Oilers to four Stanley Cup championships in 1984, 1985, 1987 and 1988, and set single season records for goals (92 in 1981-1982 1981), assists (163 in 1985-1986) and points (215 in 1985–86), as well as career records for goals (894), assists (1,963) and points (2,857). Please post your best or favorite all-time NHL players by position or any comments.